CYCLING NEWS - Four-time Tour de France winner Chris Froome will have his work cut out dealing with the altitude when he tackles the Tour Colombia starting on Tuesday, his rivals and team-mate said. "Having Froome will be interesting because, apart from the rivalry, we'll see how these riders go at altitude, how they feel, what they think," Colombian Nairo Quintana, who has twice finished runner-up to Froome at the Tour de France, told sports daily Marca. Altitude will be an important feature of July's Tour with seven climbs rising above 2,000-meters including the Col de l'Iseran, the highest paved mountain in Europe at 2,770m. While Quintana raced in last week's Tour of San Juan in Argentina, where he finished eighth, 33-year-old Froome will be competing in his first race this season. "He wants to ride the Tour Colombia well. At the time and during the race we'll see who the leader is, if it's him or me," said Bernal, 22. Another rival, Rigoberto Uran, a former Froome team-mate at Sky and runner-up to the Briton at the 2017 Tour when riding for his current outfit Education First Drapac, can't see the Kenyan-born rider winning in Colombia. "It's hard to see a foreigner winning the race," said the 32-year-old Colombian. "The issue of altitude will undoubtedly weigh heavily." The race begins in Medellin on Tuesday with a 14km team time-trial. 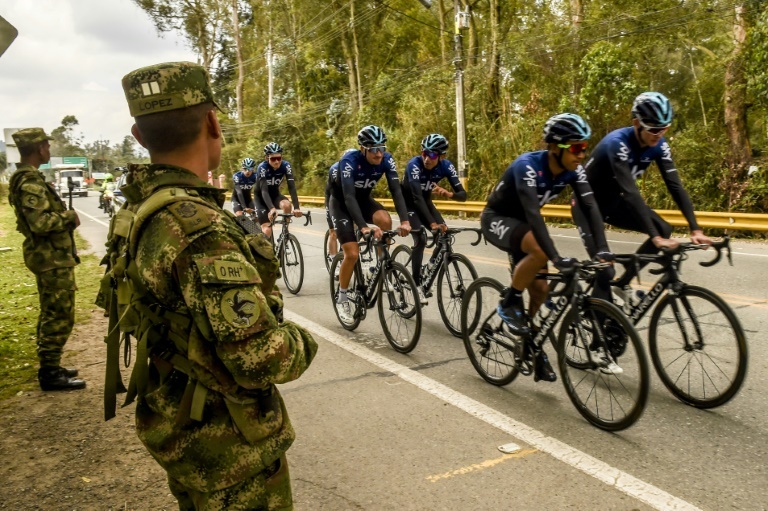 There will then be four flat street-circuit stages, all in the Antioquia region before Sunday's decisive finale, a 174km ride from El Retiro to the steep summit finish at Alto de Palmas. "It's a race that ends on a mountain and it will be spectacular," said Movistar leader Quintana, 29, the runner-up to Bernal last year. While he has won cycling's other two Grand Tours - The Vuelta a Espana in 2016 and Giro d'Italia in 2017 - Quintana has never won the Tour de France, which will be his main goal this season.